You'll have your friends and fellow party go'ers under a spell when you arrive at the fancy dress party dressed in this wicked witch fancy dress costume. 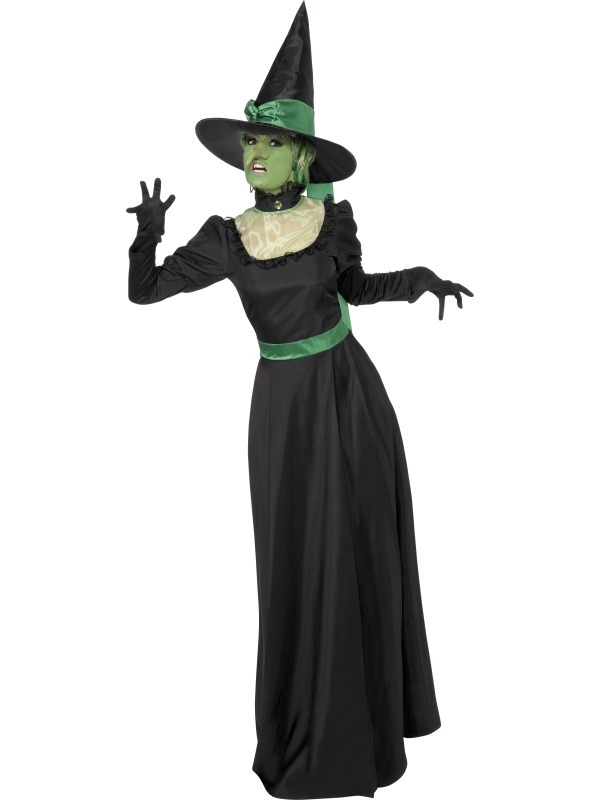 The fabulous costume contains everything for turning yourself into a sassy sorceress and comprises of a long black dress with green translucent neckline and black lace detailing, green fabric belt and a tall black witches hat decorated with green fabric trim. 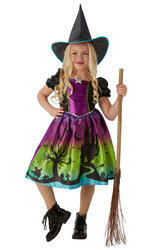 Perfect for any fancy dress party and very popular for Halloween! Tall black witches hat decorated with green fabric trim.